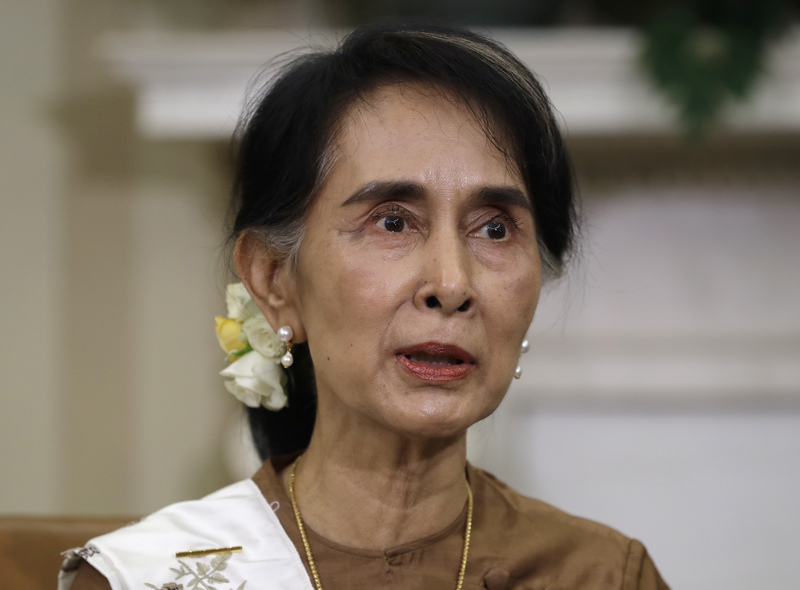 Aung San Suu Kyi is expected to hold bilateral talks with Narendra Modi and Vladimir Putin. Goa summit offers South Asian and Southeast Asian leaders an opportunity to interact with Vladimir Putin, Jacob Zuma and Xi Jinping. Indian Prime Minister Narendra Modi’s decision to invite the leaders of the Bay of Bengal Initiative for Multi-Sectoral Technical and Economic Cooperation (BIMSTEC) countries for the BRICS outreach meetings has been well received by the members of the little-known grouping. BIMSTEC comprises of Bangladesh, Bhutan, India, Nepal, Sri Lanka, Myanmar and Thailand. Russian companies are actively involved in Myanmar’s oil and gas industry, but the political contact at the highest level was restricted until the Russia-ASEAN Summit in Sochi in May 2016, when Myanmar President U Htin Kyaw met Vladimir Putin for standalone talks. “Putin and Suu Kyi are likely to have a brief meeting during the weekend,” Shan said. Another country looking forward to the summit was Myanmar’s neighbor, Thailand. However due to the death of Thai King Bhumibol Adulyadej, Thai Prime Minister Prayuth Chan-Ocha cancelled his trip to India. The kingdom will be represented by a vice foreign minister. “2016 has been a breakthrough year for Russia and Thailand so a meeting between the leaders would have helped increase the momentum,” Shan says. Economic interests dominate the agenda for leaders of South Asian countries. Bangladesh Prime Minster Sheikh Hasina, who visited Russia in 2013, has long been a supporter of friendly ties with the country, but is looking at the weekend summit to enlist BRICS support for developmental projects in her country. “As far as BRICS is concerned, we have expectations that BRICS leaders will extend a supporting hand to BIMSTEC with its New Development Bank at affordable terms,” Hasina told The Hindu in an interview. Nepalese Prime Minister Pushpa Kamal Dahal (also known as Prachanda) will have bilateral meetings with each of the BRICS leaders. Nepal is the current chair of BIMSTEC and Prime Minister Prachanda is expected to address the summit after Modi’s inaugural speech. A senior Nepalese Foreign Ministry official told the Himalayan Times that the summit is a “huge opportunity” that Nepal has to utilize. The response from Colombo has been subdued. Sri Lankan President Maithripala Sirisena is also expected to hold talks with each of the BRICS leaders but the press is the country has given little coverage to the summit. Last year Russia paired the Shanghai Cooperation Organization (SCO) Summit with the BRICS Summit in Ufa. By inviting BIMSTEC for the summit in Goa, Modi is looking at building cooperation between BRICS and the Bay of Bengal Initiative in areas such as technology, investment, energy and most importantly travel and connectivity. A wider cooperation agreement is expected between the two groupings at this weekend’s summit. Tung says the idea of BIMSTEC members taking part in the BRICS Summit is welcomed by China. “The Southeast Asian component consists of the two countries with whom China does not share any maritime territorial dispute, while it enjoys warm relations with almost all the South Asian nations,” she says. Media reports also indicate that Modi may push for a motor vehicles agreement to ensure connectivity between South Asia and Southeast Asia. “This is another initiative that would be welcomed by China, which is at the forefront of connectivity initiatives such as the Silk Road and the Maritime Silk Road,” Tung adds. The leaders of the two groupings will have plenty to talk about at a gala dinner that is being planned by Modi on Oct. 16 when the summits are over.